Cook pasta according to package directions. 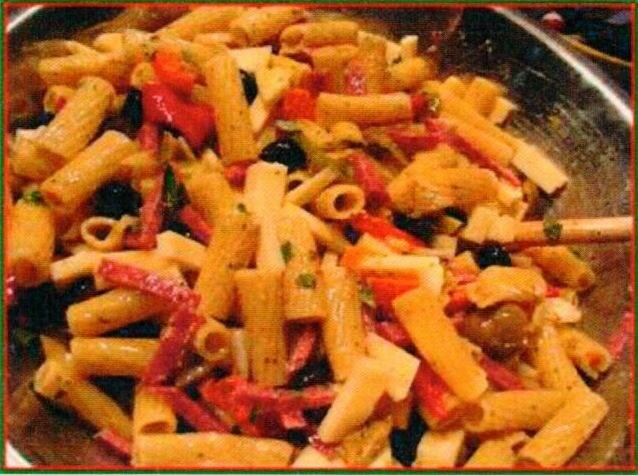 Drain pasta and mix pasta, olive salad, ham, salami and provolone together in large bowl. Add cracked pepper and parmesan cheese to taste. Serve warm or cold, with a slice of garlic bread or toasted french bread slices. Olive Salads have been around for a very long time but only ours has the 100 year old Formella recipe. 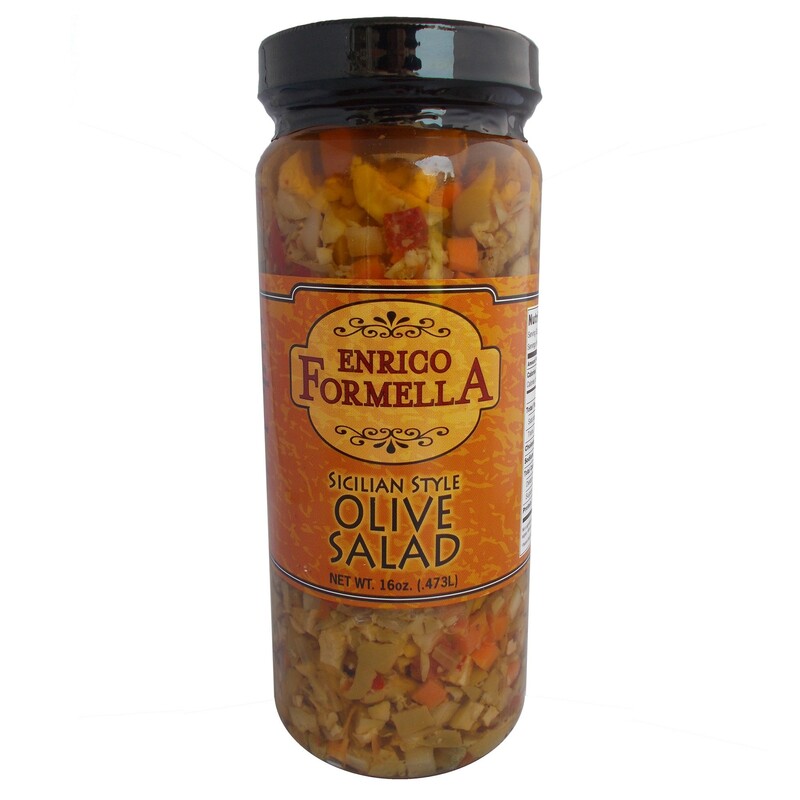 This delicious Italian condiment is wonderful on salads, mixed with pastas, on hamburgers, in martinis, or as a salad by itself.